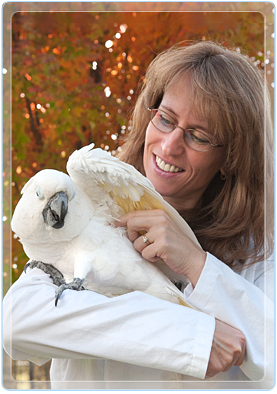 Why Redding mobile veterinary house calls for your pets? At Home Mobile Veterinary Clinic provides high-quality, full-service veterinary care to pets and pet owners in the Redding CA, Shasta, Centerville, Anderson, Palo Cedro, Millville and Shasta Lake areas of Northern CA. We provide the convenience of in-home veterinary service to our local pet owners who demand the finest care for their pets. Sometimes it can be inconvenient to get your pet to the veterinarian when it's best for both you and your pet (indeed, it's often downright impossible!). But as busy or complicated as life can get, our animals still need and deserve the same preventative and medical care as always. Dr. Evans is available to provide personal, full-service care to ensure your pets the highest quality of life and best companionship for you. Most pet examinations, surgery, x-rays, bloodwork, and ultrasounds can be performed in our Redding mobile veterinary medical hospital. Dr. Evans is also affiliated with Dana Park Veterinary Hospital for advanced medical and surgical cases needing hospitalization and ICU level veterinary care.